Scoring a win at the 1,000-mile race in Sebring, Porsche has increased its lead in the Sports Car World Endurance Championship. Gianmaria Bruni and Richard Lietz finished round six in Florida in first place with the No. 91 Porsche 911 RSR. Porsche has paid tribute to the worldwide achievements of its teams and drivers over the 2018 season at its Night of Champions motorsport gala in Weissach. On this occasion, the Board announced the intense continuation of its worldwide GT activities as well as a number of innovations. Both Porsche 911 RSR fielded by the Porsche GT Team finished on the podium at the FIA World Sports Car Championship WEC in Shanghai. 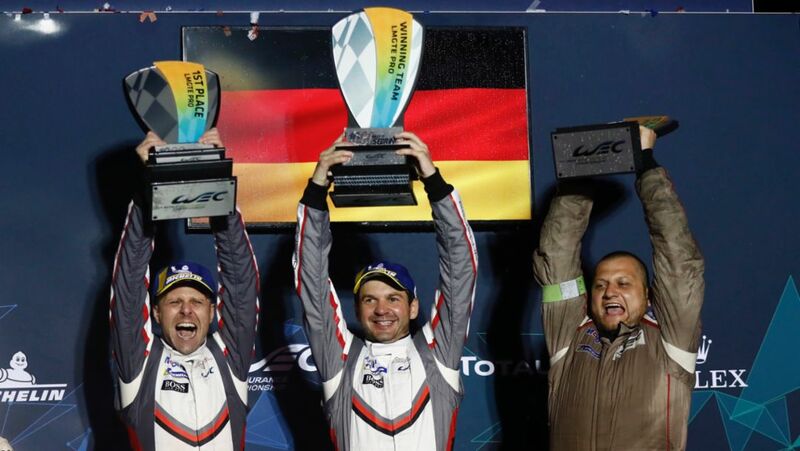 The Porsche GT Team has won the six-hour race at the Fuji Speedway in Japan. At round four of the FIA WEC World Sports Car Championship, Kevin Estre and Michael Christensen crossed the finish line in first place in the GTE-Pro category with the Porsche 911 RSR. Personnel change at the top of the Porsche sales organisation for Central and Eastern Europe. Michael Müller will take over as Managing Director of the sales region, which comprises 26 countries. In a turbulent round three of the FIA World Sports Car Championship WEC at Silverstone in Great Britain, Kévin Estre and Michael Christensen finished on third place at the wheel of the Porsche 911 RSR with the number 92. Porsche has won the 86th edition of the Le Mans 24 Hours in both the GTE-Pro and GTE-Am classes and has extended their lead in the FIA WEC Championship. The 24 Hours of Le Mans at a glance.